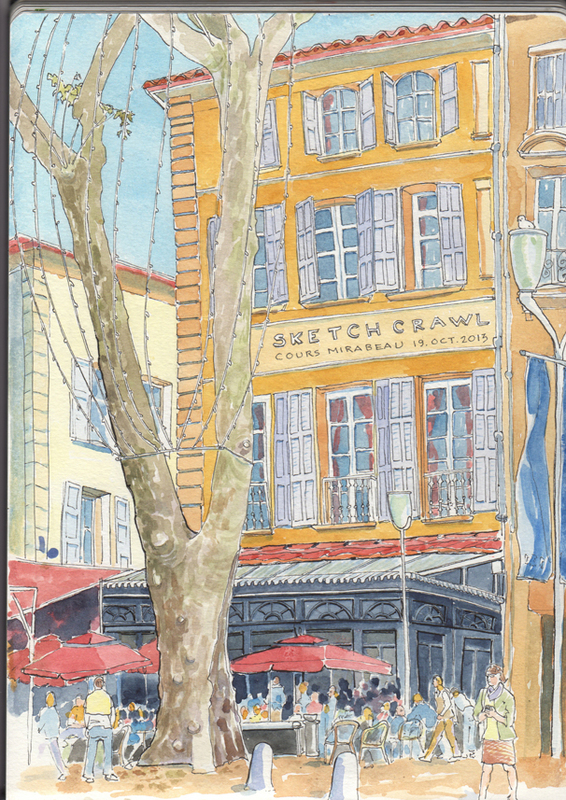 Periodically, and all over the world, artists get together for an informal “sketch crawl”. Locals decide the spot to convene at, and you’re on your own (but share lunch, at least in meal-oriented France). You can see worldwide posts: http://www.sketchcrawl.com. Here are a few drawings I’ve done this year. 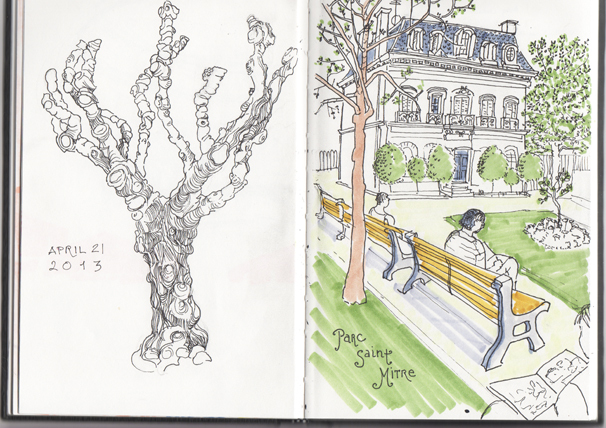 I’ve found the sketchbook I like best: A regular (not water-colour) Moleskine 29.5 x 21cm. Originally I used Copic markers, but they bled through, so I switched to water-colour. I Love the colours in these!! I can feel the warm air.